After departing Pam's place, we stopped at the city cemetery in Jeffersontown to see a memorial marker to the martyred Confederate soldiers, including Lindsey Duke Buckner. 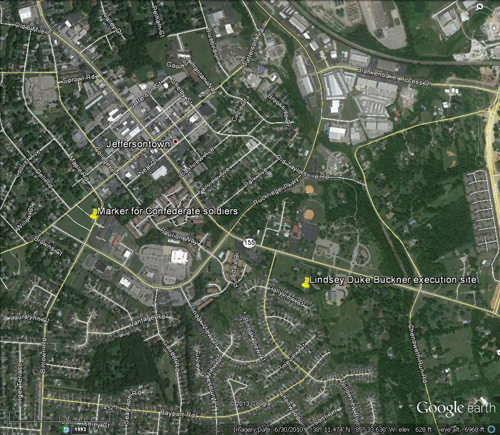 Mr. Schmidt showed me the area across the street from the present-day Jeffersontown Community Center. He pointed out the faint traces of an old road, "the Old Heady Trail," where a firing squad lined the men up and shot them. The bodies were first were buried in shallow graves just a few hundred yards up the hill, which he also indicated. 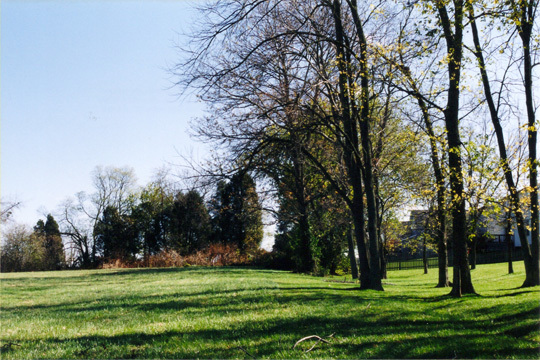 The townspeople were afraid to do any more until a few days later, when some women in Jeffersontown requested permission to give the bodies a proper burial in the city cemetery. Two of the men remain buried at the cemetery today, and there is a marker with the names of all four men inscribed on it. 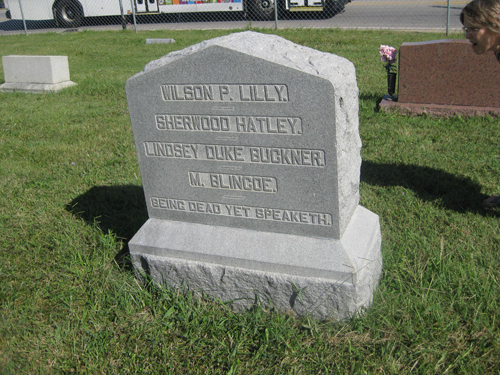 At some point -- no one seems to remember exactly when -- the remains of Lindsey Duke Buckner and William Blincoe were claimed by family members who buried the men elsewhere in Kentucky. 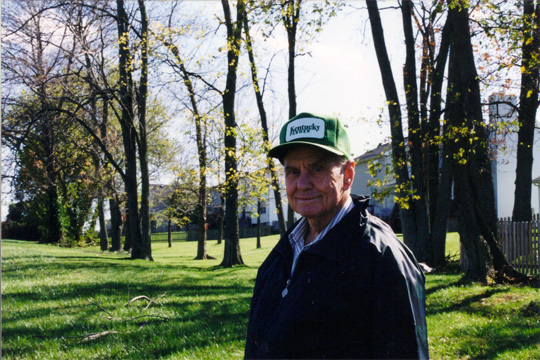 Mr. R. W. Schmidt, at the site of the execution of L. D. Buckner and 3 other Confederate soldiers, Jeffersontown, KY. According to Mr. Schmdit, whose family once owned the land where the execution occurred in 1864, the prisoners were shot alongside the road and buried in a shallow grave nearby until ladies of Jeffersontown petitioned authorities to allow a proper burial of the men. This photo was taken in October 2001. 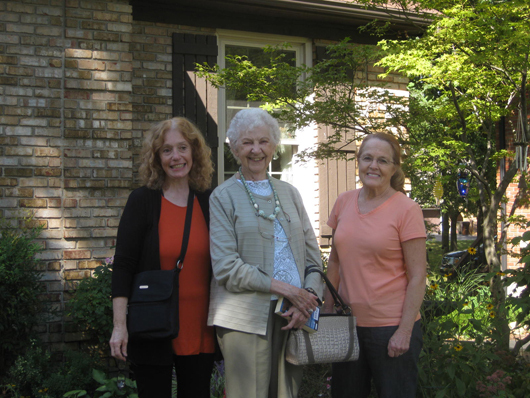 From Jeffersontown, we drove to Campbellsville, KY, and checked in to the Holiday Inn Express and had dinner at a nearby steakhouse.